As much as I want to indulge my lips to tons of different kinds, textures and colors of lipsticks, my lips can't take it all. I have dry hair, skin, and LIPS. And what I need to prioritize at this moment than putting a dazzling red lipstick is to moisturize and hydrate my lips. It is not enough that you have an on point make-up. You also need to have a strong foundation in keeping your skin healthy. Lip balms aren't my personal favorite when it comes on what I put into my lips. I always prefer lipsticks. 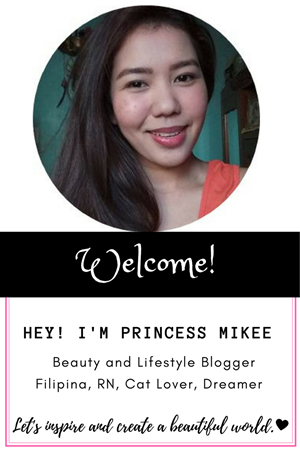 Lipstick that has a moisturizing effect and SPF is a plus point but the shade is the foremost factor that I am looking into lipsticks. Most of the lip balms don't have the shades that I wanted (not as if lip balms are made for that, Ikr!) To make the story short, I wanted lipsticks more than lip balms but my lips needed lip balms more than lipsticks. Lip balms seals in moisture in our lips, that are vulnerable to drying, cause by exposure to extremes in temperature or even in room air and dry lips and cracking could be cause of the starting cold weather or not enough hydration. 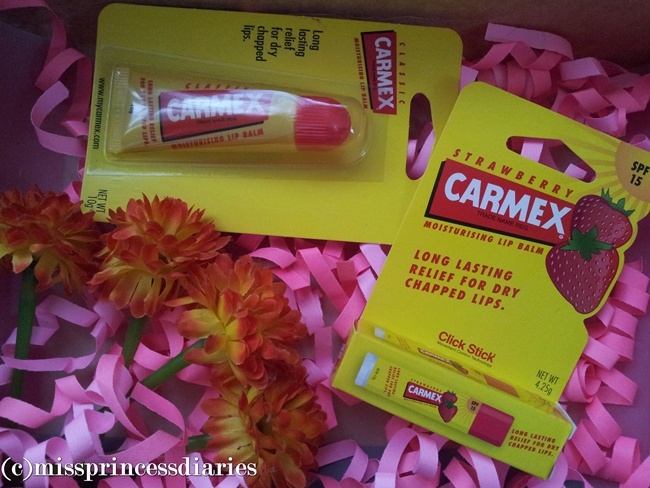 I haven't tried Carmex before or I must say haven't even heard about the product only after I have received their products from my beauty box. When I first saw it, although I was so intrigue about the brand itself, I wasn't so much excited because it was a lip balm. Again, lip balms aren't my favorite (need I say more?) In the long run, it turns out that it is the most used product among other products from my beauty box (same as with the mascara, oops!) 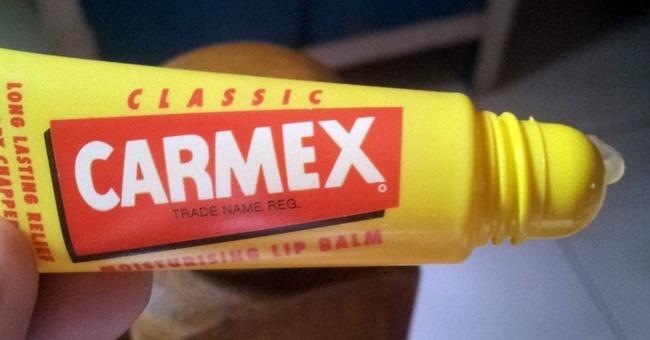 Based on my research, Carmex has been there since 1937 and gaining a great reviews from all over the world as one of the best lip balm. Packaging. What I have is a click stick and the tube packaging. By the way, it originally comes in a jar. I've seen it all over the web and it is an appealing jar. I use the click stick more often because I can easily apply it evenly on my lips but the squeezable tube isn't bad after all since it has a rounded tip, you can manually distribute the product around your lips. It comes in just right sizes for a lip balm so it can easily be carried and applied anytime and anywhere. Flavor/Scent. It is not as if you will eat the lipbalms but putting a flavor into it adds a scent that makes it more likeable. The click stick I have is available in strawberry flavor while the tube is in original. I admit that the strawberry flavor is my favorite but I still give a go to the classic one which has a minty flavor. Although, I feel like my lips are getting numb of so much mint with often application. But, it is totally bearable. Color/Shade. Most of the lipbalms doesn't have the pop of color that I wanted that I get from the lipsticks but presently, they are now incorporating a tint on some lipbalms which is nice. We knew that the main goal of lipbalm is to keep the moisture of our lips and the tint that comes with it is a bonus improvement. 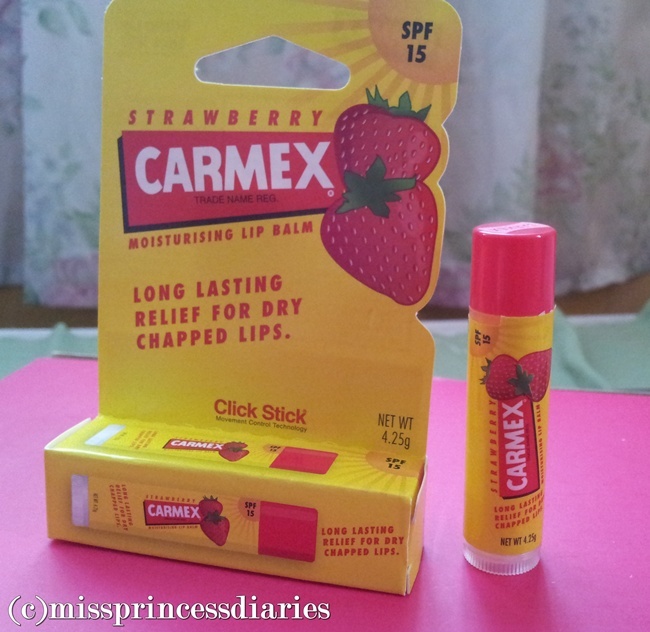 Carmex lip balms comes in a transparent lip balms (well, a little yellowish) without a tint. 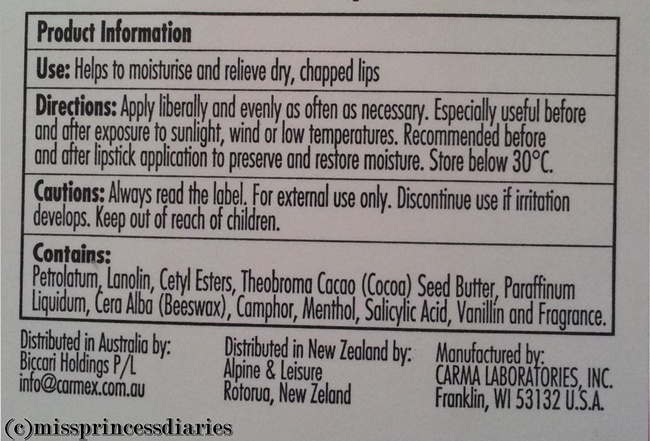 I think when it comes to lipbalms (not talking as an expert here) the lesser the ingredients, the better. But the SPF15 addition in their click stick is a great deal. But I should say that without a little tint, my lips, although moisturized, looks pale that's why I put a lipstick over it. Moisturizing effect. I saw the difference after I used this product. The cracked lips are gone only if I only used this lipbalms alone but based on my experience, since I wanted to incorporate a pop of color to these lipbalms, adding lipstick to it is another story. I highly suspect that it is the lipsticks that makes my lips cracked over and over (but not all lipsticks!) But on a regular basis with (some other lipsticks) or without lipstick, my lips are moisturized and improved unlike before that I had to peel (it hurts!) a part of my cracked lips and keep seeing the dead skin which always ruins my entire face. No more peeling this time around. Overall experience. 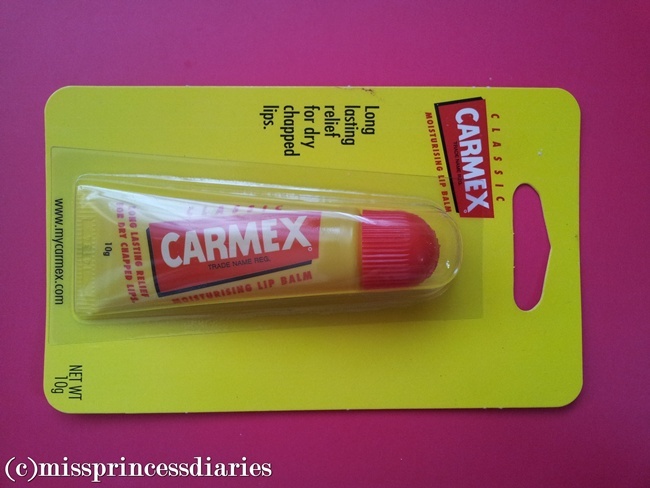 Carmex isn't that expensive product that deliver good results. It is simply a lipbalm that keeps our lips moisturize. 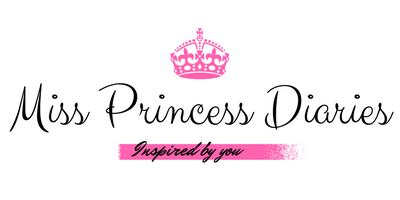 It can be used on a regular basis and as often as you needed. It is very handy and can be easily applied everywhere. The variation of packaging from jar to tube and click stick is great so that you can choose whatever suits your lifestyle. However, there are improvements to be done like more flavors to come (although the other available flavors are already good) and the SPF that goes with it makes it more better. 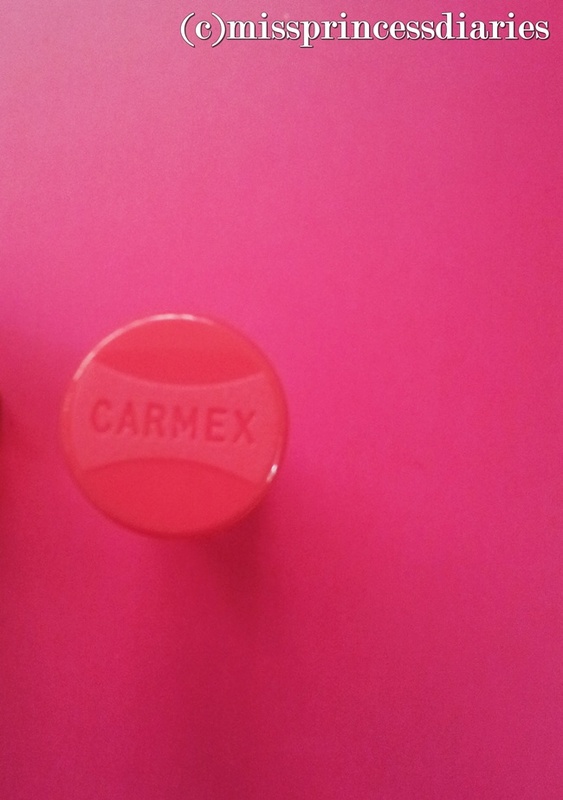 Good thing, I have discovered Carmex!